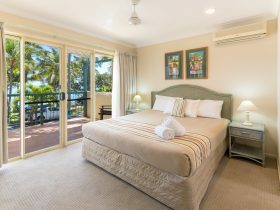 Tropical Palms Resort offers 12 self-contained rooms for family holidays. Sleeping up to two adults and three children. 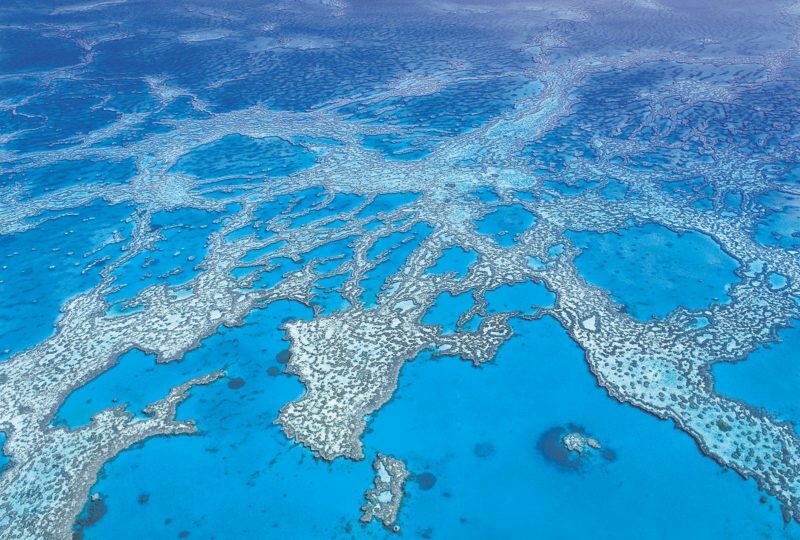 Located in beautiful Picnic Bay. 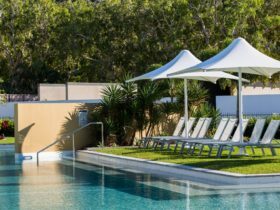 Tropical Palms Resort is just a 100 metre walk to the Picnic Bay Jetty, safe swimming beach, Picnic Bay Hotel and other restaurants. 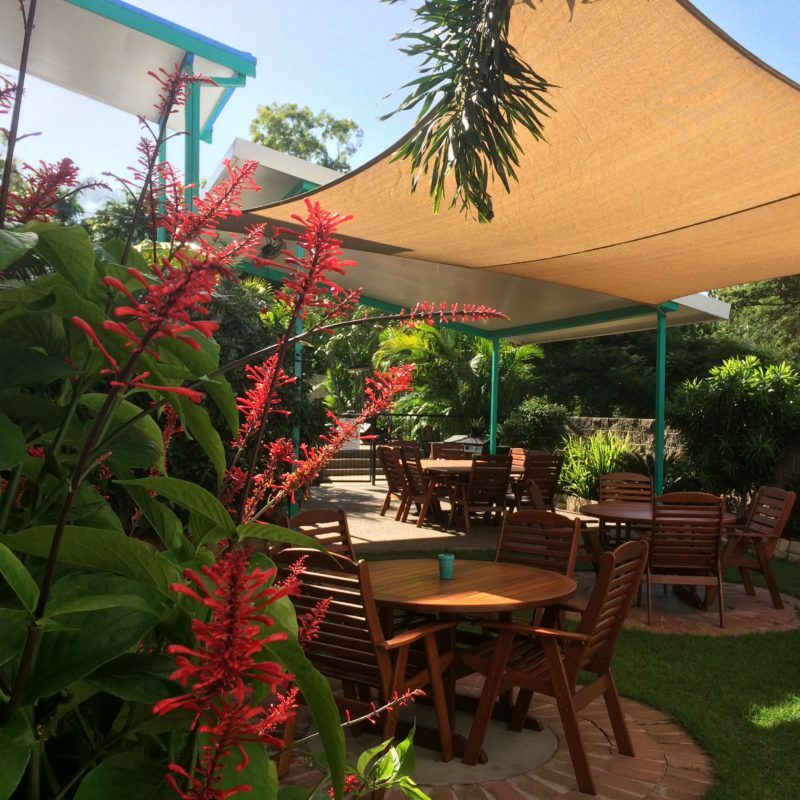 It is also only a short walk to the famous Magnetic Island Golf Course. 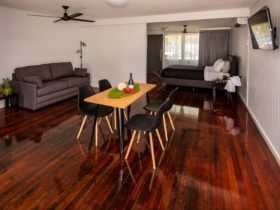 All rooms are self-contained with kitchenette, air-conditioning, television, DVD players and en suite bathrooms. There is a swimming pool, barbecue and al fresco dining area. 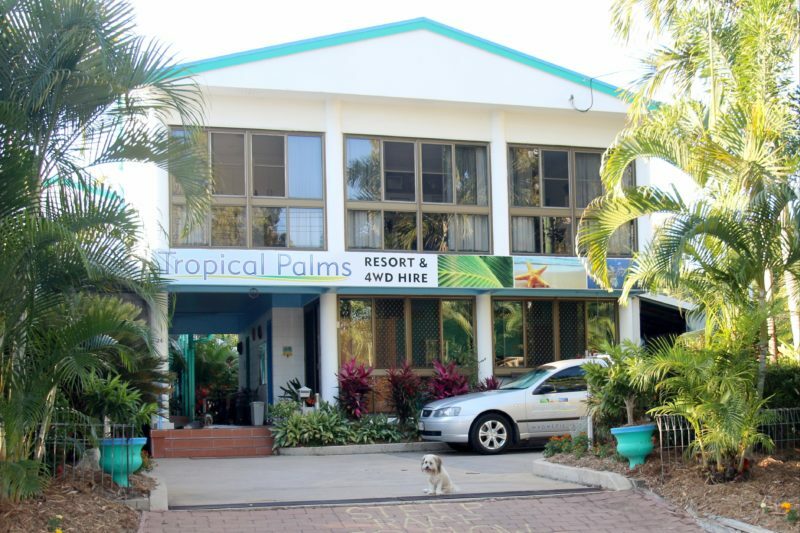 Tropical Palms Four Wheel Drive Hire offers modern, well maintained, air-conditioned four wheel drive cars to explore Magnetic Island, including the more secluded, beautiful bays. House guests receive a discount on car hire. All island tours and attractions are arranged from reception. Discounted package deals are available, including room, car hire, ferry transfers and breakfast. Standard Room has a queen and single bed. Deluxe Room has a queen bed and sofa. 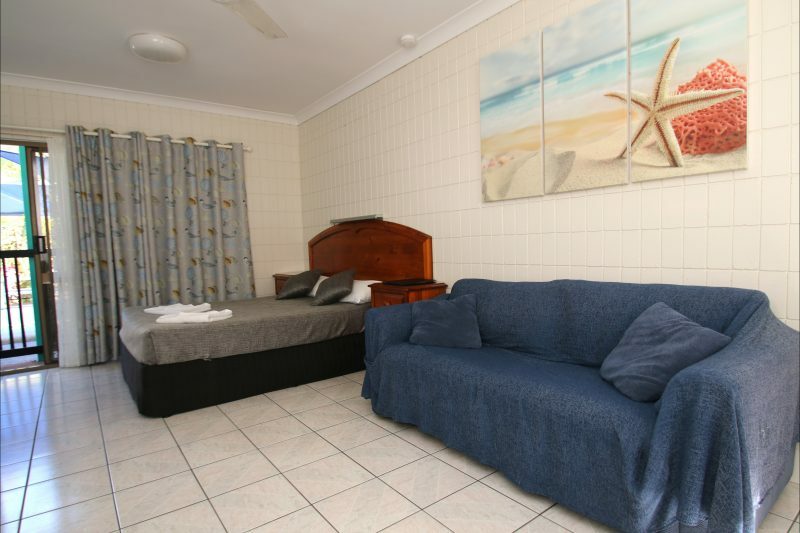 Room has en suite bathroom, fully equipped kitchenette, air-conditioner, television and DVD player. Family Room has a queen and single bed plus a rollout single bed. 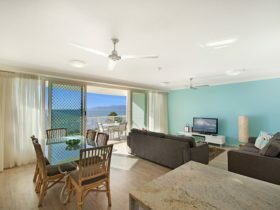 Room has en suite bathroom, fully equipped kitchenette, air-conditioner, television and DVD player. Self-contained studio unit with a queen bed and bunk beds for three children. Air-conditioned unit has it’s own bathroom and kitchen and is fully set-up ready to move in. Discounts apply for longer stays. Special rates for package deals which include ferry transfers and car hire. 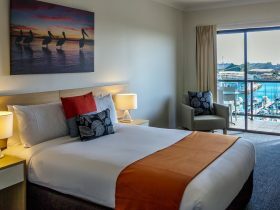 Extra person rate AUD15. Loyalty discount – 10 per cent.